The Philippines is not a country that has made much of an international splash so far as movies are concerned. This is tragic as the country has a wealth of talent that has produced some exceptional movies. 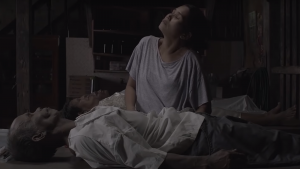 To give these films a bit of the recognition that they deserve, we have put together a list of our top movies from the Philippines. These 10 Best films will make you cry, laugh, love, and challenge you to learn more about this countries great movie history. BuyBust is a film that tackles the number one problem in the Philippines – drug trafficking. In this film, the PDEA or the Philippine Drug Enforcement Agency plans a buy-bust operation to arrest an elusive drug lord. However, the plan does not go well. The elite anti-narcotics group, find themselves trapped in the drug den, struggling for their survival against the furious drug dealers all around them. Even some locals turn against them. What transpires is a violent and bloody battle where the cops fight for their lives. 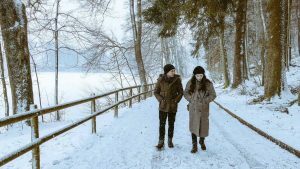 Meet Me in St. Gallen is a love story between two strangers. One day, Jesse and Celeste accidentally meet in a coffee shop. Jesse is an aspiring rockstar, but his family is against his career choice, while Celeste just resigned from her job as a graphic artist because of creative differences with her boss. At first, they dislike each other, but eventually, they share their thoughts, dreams, and frustrations. This creates a connection between them, and they end the night with a kiss. They decide to meet over coffee again, trying for a deeper connection, but the timing is not right. Will these two lovebirds find the connection to make the love between them blossom? Love knows no boundaries. 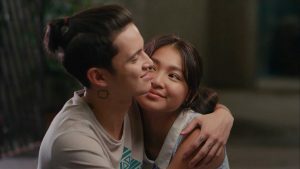 Kung Paano Hinihintay ang Dapithapon is not your typical love story. It is a story of an elderly couple, Celso and Teresa, who are celebrating their 27th anniversary as live-in partners. The story centers on the relationship between Teresa and Celso, as well as Teresa and her long lost husband. After her husband reconnects with her because he is dying, a strange love triangle develops. The three characters are asked to come to terms with the love that they feel towards each other. 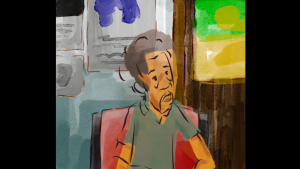 Paglisan is an animated film about love, acceptance, patience, and loyalty. 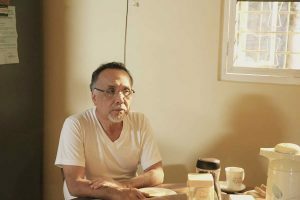 It is a story of a middle-aged couple, who are struggling to come to terms with the husband’s has Alzheimer’s disease. Every day is an increasingly difficult as the disease progresses. 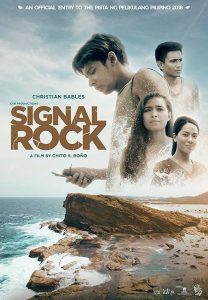 Signal Rock is a movie that depicts the lives of the people on a secluded island. The story is about a simple man named Intoy, who lives on this secluded island. The island is so remote that there is no cellular network in the island except at the top of the big rock that they call Signal Rock. Every day, he climbs Signal Rock to receive a call from his sister. His sister is married to a rich foreigner, and living overseas. The community looks up to her sister because she is living the dream of every woman in their area, to be wedded to a wealthy foreigner. The movie Gusto Kita with All My Hypothalamus is a great Filipino film. The story revolves around the lives of the three young men who fall in love with the same mysterious girl named Aileen. Although these four guys fall in love with the same woman, they each love a different characteristic about her. Aileen becomes a figure who the men mold their desire. However, this carries danger as they never see the truth behind because the person they love. 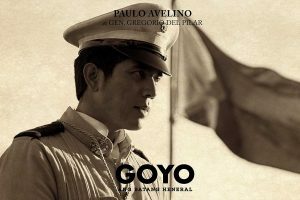 Goyo is a movie that tells the story of one of the Philippine’s biggest heroes, General Gregorio del Pilar. Instead of portraying Goyo as a noble hero, it depicts all his flaws that show he is not quite the selfless hero Filipinos know from their textbooks. Tanabata’s Wife is a story about a lonely Japanese man who hires a young Bontoc tribeswoman to help him with his farm. Tanabata’s Wife is a story of love, culture differences, and ambition. As Tabanata and Fas-ang relationship blossoms, they become lovers. Oda sa Wala is a touching movie that shows the life of a struggling old maid who manages their family embalming shop. Business is bad, and she finds herself in big trouble with a lender. The lender threatens her to foreclose their ancestral home as a payment for the loan. Never Not Love You is a love story of two young lovers. They jump into a relationship, making a decision that soon has a domino effect on their careers, family and their relationship. This movie shows how young people battle with love when they are too immature to deal with the consequences.